In 1983, I was a math grad student at the University of Utah. I was a student representative on an administrative committee and heard about a top secret Apple demo where they had been shown a new computer that "looked like it was something out of Star Wars." The next year, every department at the university got two Macintosh computers with 128 KB of RAM, a 400 KB floppy drive, an 8 MHz CPU, and a 512x342 black and white screen. This was cutting edge, state-of-the art computing, something that, back then, looked like it was straight out of science fiction, and one of them landed in the grad student lounge where we could figure out what it meant. I'd been programming since junior high, first on a programmable HP calculator, then in BASIC on an Apple ][ in high school. I only took one programming class in college, "Introduction to Programming in Pascal" my freshman year. I narrowly missed having to use punch cards for that class because I had a computer account on the math department mainframe. Over the years, I did a fair amount of programming, it was a useful tool for solving math problems, which I got plenty of as a dual major in math and physics. All of that programming was console stuff: log in via a dumb terminal, edit program files in a very nerdy text editor, compile and run to get results back as lines of text. You could make the output pretty by carefully using spaces to make columns line up, maybe even draw awesome graphs by printing out spaces and x's in just the right spots. 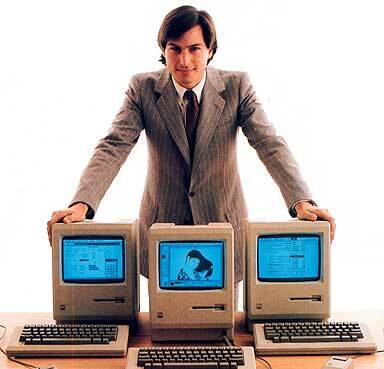 The Macintosh was a completely different beast. It had a graphical interface that used images to convey information. It was easier to use and you could do things that were unimaginable on the terminal to the main frame. In 1985, I bought a Mac 512, the next generation with 4 times as much memory. Later, I took a year off from grad school to work for the University of Maryland, European division, teaching math and computer science to American military personnel on the air force base in Inçirlik, Turkey. I bought a custom-fit bag for my Mac 512 and hauled it across Europe to Turkey, bought copies of the Inside Macintosh programming reference books and taught myself C. I hacked the startup screen that said "Welcome to Macintosh" to say "Have Mac, Will Travel" instead. I nearly got trapped in Turkey because of the Mac. Turkey carefully controlled technology imports, so if you brought a computer into the country, it got marked in your passport. When you left, you had to take the computer with you or pay an astronomical tax, like three times the cost of the computer, a fortune to me. I took a brief trip to Germany to deal with an eye issue, and took the Mac with me (of course), but because it was a weird military flight, the Mac didn't get marked as leaving. So, when I came back I got a second Mac added to my passport! The customs guy who was trying to explain the mess I was in through an insurmountable language barrier finally made a gesture indicating handcuffs, me, and Turkish prison. That got my full attention. Fortunately, I was able to resolve the issue with the head customs guy over tea arranged by a fortunate contact, a Turk who taught Turkish classes on base. After that year, I got back to school, but was stalled choosing a thesis topic for the PhD program, at least partly because I was spending all of my spare time programming the Mac. I wrote a program that let you type in an equation and it would graph it on the screen. It was a pretty basic idea, but there wasn't a Mac program that would do that, at least not one that didn't cost a fortune. A publishing company licensed it to include with the teacher's edition of a math text book and I got my first paycheck for writing software. That summer, I got a job with a small local Mac software company. It was almost a real job, paying real money and I had fun doing it. That was a big revelation: people would pay me to do something I enjoyed. Suddenly, getting a PhD in math so I could maybe get a job teaching math wasn't as interesting. That summer, 1987, I applied for jobs at companies I admired, Quark for their awesome desktop publishing app, and Microsoft for Word. I got the job at Microsoft working on the Mac version of Word. By then Steve Jobs had been ousted from Apple. The momentum of Steve's vision carried the company for a few years, but eventually there was a series of uninspired CEOs overseeing the production of a complex array of boring beige boxes while the operating system made slow progress moving forward. By the mid-1990s, Apple was struggling while Microsoft was rapidly growing. With broad success on Windows, Microsoft's interest in Mac products waned. It became increasingly difficult to work on Mac products without spending incredible amounts of energy advocating for something better than getting the Windows version to run on the Mac. I stuck with it for several years after it became the opposite of fun, partly for fear that if the Mac version of the Office apps died, so would Apple. During those years, I met Cathy, who shares many of my interests and is arguably even nerdier than I am. The attraction was (and is) strong enough that we got married even though she is an unwavering Windows user. In 1996, Steve came back to Apple and things started to look up in the world of Mac. In early 1998, I'd had more than enough of working at Microsoft, trying to produce a great Mac product and getting more grief and frustration than support, so I left, and Cathy followed shortly thereafter. It took a few years, but Steve got Apple back on track, mostly by doing things that seemed crazy to me. 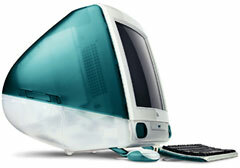 When Steve announced the iMac in 1998, I declared it was one past the last Mac I would ever buy. * A cute-looking computer with no floppy drive, no serial port and no standard Apple mouse and keyboard connector? Instead, it had a USB connector, this crazy new thing that no other computer company was using. Insane! In 2001, Steve announced the iPod, this crazy portable music player, sort of like a Sony Walkman, but with a hard drive. Lots of other companies were making things like this, and it was turning into a commodity market. The iPod looked cool, but why would I buy one? What was Steve thinking? And eye-pod? What kind of a name is that? The whole thing was embarrassing. Cathy prompted us to finally buy one, and we liked it. So did a number of other people. In 2007, Steve introduced the first iPhone. I understood this one right away, and Cathy waited in line for me so I could buy one on the first day they were available. 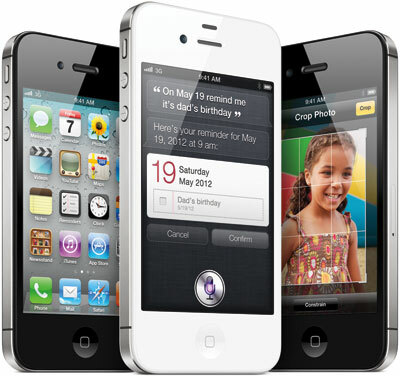 Steve Ballmer hilariously said, "There's no chance that the iPhone is going to get any significant market share. No chance." Now I carry a computer in my pocket with a 1 GHz processor, 512 MB of RAM, 32 GB of storage, and a 640x960 full color screen. It's connected to the Internet from nearly everywhere on the planet within 20 miles of a traffic light. It also happens to make phone calls. I'm now back where I was in grad school, spending all of my spare time programming on projects I find interesting, mostly on the iPhone these days. Occasionally, I get paid for my programming work but most of the time I just do it to make doing some task easier or more enjoyable. It took the work of tens of thousands, if not millions, of people to make technology advance this far in 30 years, with a lot of it fueled by the competition between Apple and Microsoft. Perhaps Steve didn't do much of the technical work, but he saw what could be done years ahead of everyone else and pushed things in the right direction at Apple, NeXT and Pixar. It's been a blast riding the wave of advancements he inspired and worked so hard to realize. I never met him in person, but I saw him speak many times at WWDC and the Macworld Expo over the years. It's been an honor to live through the Steve Jobs age. I'm sad to see it over way too soon, although I'm sure his influence and vision will carry forward for many more years. * That's a very nerdy joke making a play on the Hungarian naming convention, a powerful programming technique invented by Charles Simonyi, with whom I had the privilege of working on Mac Word during my first several years at Microsoft. This page contains a single entry by Tom Saxton published on October 6, 2011 9:05 AM. Where Do You Gas Those Things Up? was the previous entry in this blog. Tesla Roadster Battery Capacity Over Time and Miles is the next entry in this blog.